I have never smelled anything like this! Now that ‘s what I call a perk of the job !! 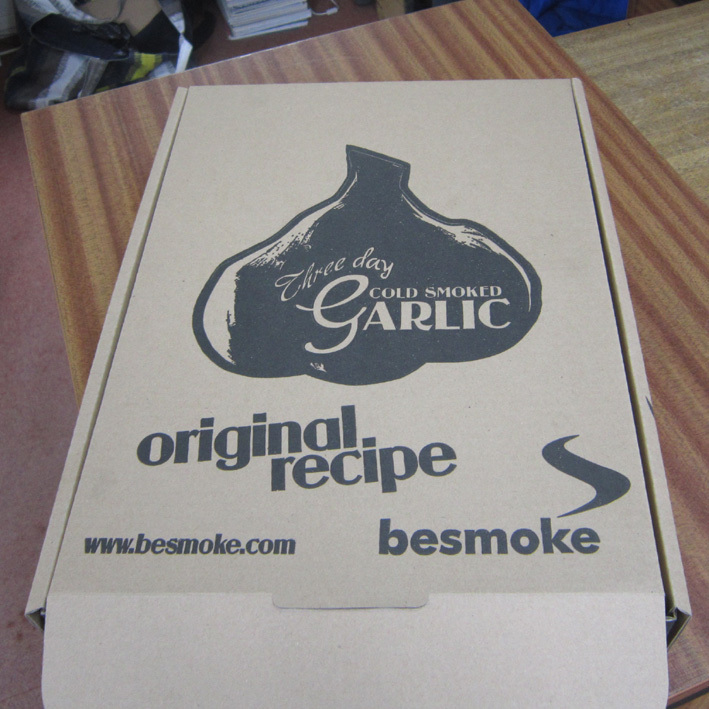 The Besmoke guys are based over near Arundel in their newly kitted out ‘smoke shop’ . They have an incredible business smoking herbs, garlics, oils and all sorts of delicious food stuffs. Not surprisingly, people just can’t get enough of they’re smokey flavours so in turn they can never get enough of our Oak sawdust! Want some of that super smokey flavour for yourself? 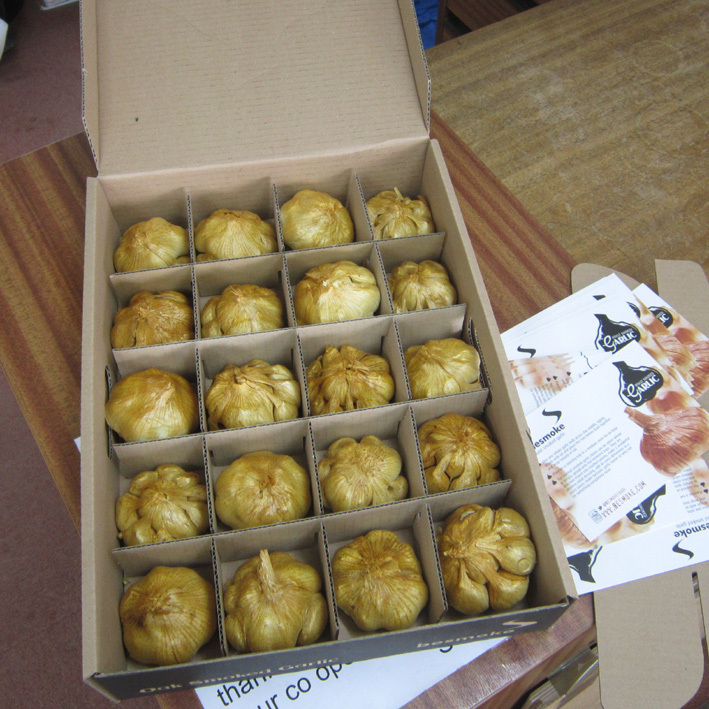 Well, you can visit @besmokefoods if you’re on twitter or plain old www.besmoke.com if you’re not! 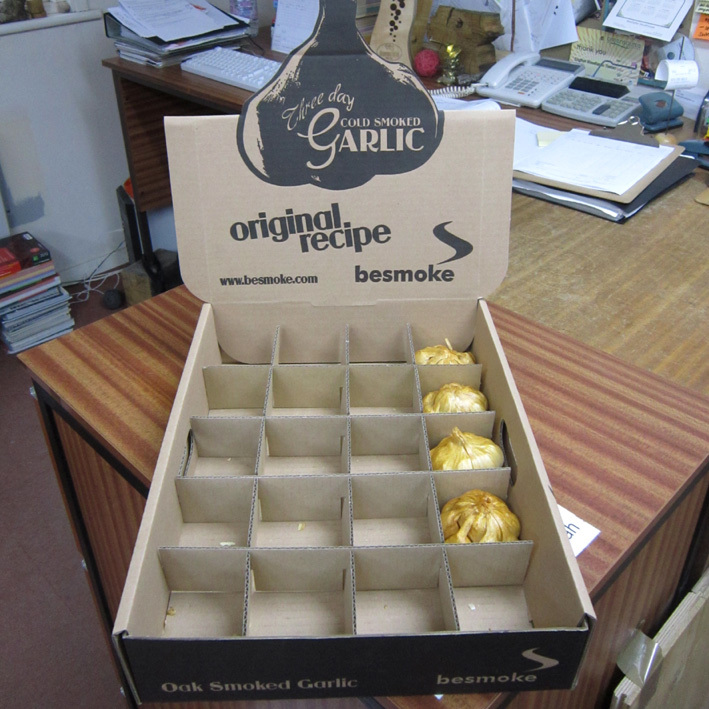 Or you can get in here quick because we have a few bulbs of the georgous garlic left… LOOK.. we’re re-gifting ! And yes… if you need some lovely Oak sawdust we’ll turn our backs whilst you fill a bag or two from the hopper ( the scoop is hanging on the right hand side!). Also.. I don’t like to say I told you so but… Oak..? 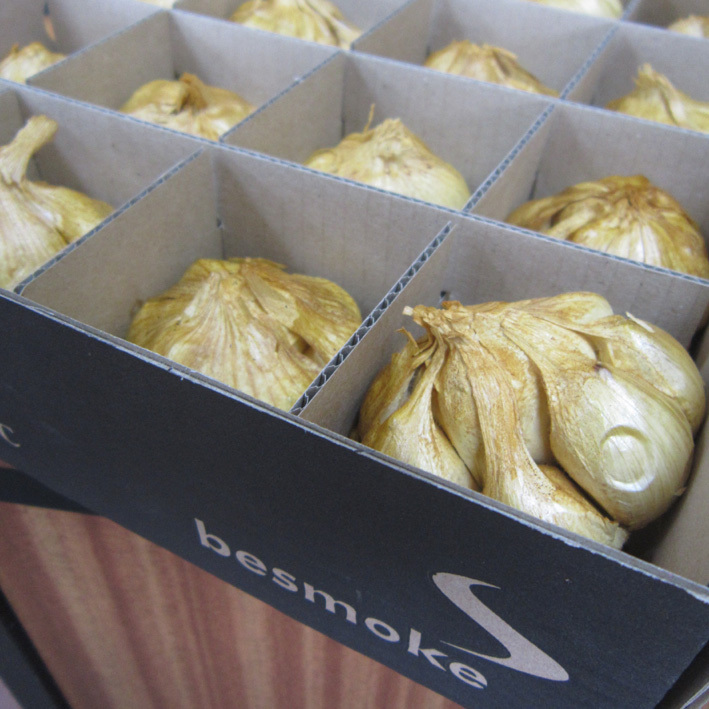 smoked garlic…? answer to life the universe and everything ? I think it’s pretty clear I did tell you so. *of course I am making alot of this stuff up! Posted on April 25th 2012 under air dried timber, english hardwoods, firewood, furniture timber, joinery timber, kiln dried timber. You can follow any responses to this entry through the RSS 2.0 feed. You can leave a response, or trackback from your own site. The dream is still very much alive here in John Lloyd’s workshop in Ditchling. John’s new students had a very odd look about them when I tried to convince them that Oak is the answer to everything. Then we had some cake and all was forgotten. Memory wiping cake.. I like it! Can I have the recipe??? Bonjour Madam! Do you want it first or second class post?! 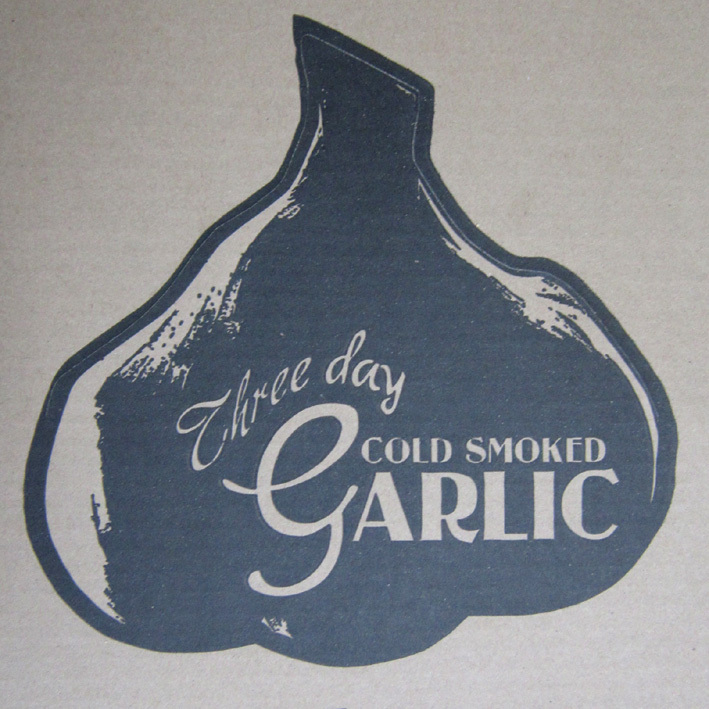 Are you sure you francais don’t have enough of your own garlic!